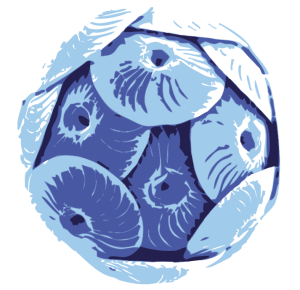 Free ocean CO2 enrichment experiments (FOCE) were developed to address the need for information on community level response to ocean acidification in natural habitats. The antFOCE project was the first polar FOCE system and was run at Casey Station, East Antarctica, over 8 weeks in early 2015. The design consisted of 2 acidified chambers (at 0.4 pH below ambient), 2 control chambers (at ambient pH) and 2 open plots (no chamber). Chambers were 2 m long x 0.5 X 0.5 m. Chambers were deployed on sediments in 14 m of water under 2.6 m of sea ice. The aims included: 1) Characterising physical and chemical environmental changes in water and sediments; 2) Examining community responses including sediment bacteria, microphytobenthos, meiofauna, and macrofauna, and hard substrata biofilms and macrofaunal communities; 3) Examining the response of key ecosystem processes including bioturbation and sediment nitrification; 4) Examining the vulnerability of some calcifying species. The deployment and running of this highly complex experiment in such an extreme environment presented many challenges which required a range of innovations to overcome. The system performed to its specifications, maintaining an approximate 0.4 pH offset for most of the 8 week period. Occasional power failures and other technical difficulties saw the pH revert to background for short intervals during the experiment, increasing the variability of the pH treatment. The saturation state (Ω) fluctuated between 0.7 and 0.8 but also reverted to background (approx 1.7) during outages. An overview of the system, its deployment and some preliminary results will be given, including effects on photosynthetic activity of microphytobenthos, on microbial communities, and other findings as they come to hand. While it is too early to gain a full understanding of effects, preliminary results indicate a potentially large range of changes in this ecosystem from ocean acidification.